Shirley was born in West Kirby, near Liverpool, and studied fashion and dress design at Liverpool Art School, before continuing her studies at the Ruskin School of Drawing and Fine Art in Oxford. She then embarked on a career as a freelance illustrator in London, where she still lives today. She illustrated other writers’ work, including Noel Streatfeild, Alison Uttley, Ian Seraillier, Margaret Mahy and notably Dorothy Edwards’s My Naughty Little Sister series. Shirley began to write and draw her own picture books when her children were young. Her first book, Lucy and Tom’s Day, was published in 1960, and she followed it with, among others, Dogger and the Alfie series. 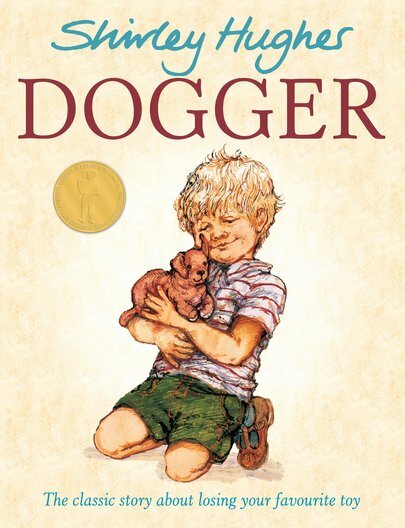 Shirley Hughes has won the Other Award, the Eleanor Farjeon Award, and the Kate Greenaway Medal for Illustration twice, for Dogger in 1977 and for Ella’s Big Chance in 2003. In 2007 Dogger was voted the public’s favourite Greenaway winner of all time. 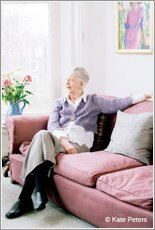 Shirley received an OBE in 1999 for services to Children’s Literature.